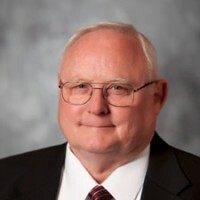 Dr. Richard Teter, who has taught at Friends University since 2007, has more than 40 years of experience designing, developing, and implementing corporate-wide information management and decision support systems in the areas of accounting, education, human resources, health care management, manufacturing, oil and gas, and the military. Dr. Teter has provided consulting, network administration, programming, project management, quality assurance, training and technical support to corporations and businesses in Arkansas, California, Colorado, Illinois, Kansas, Minnesota, Oklahoma, Texas, Virginia, Washington and Wisconsin. Dr. Teter is a life member of Phi Kappa Phi honor society.